Learning more about the properties of neutrinos is one of the great challenges in modern-day physics. Physicists are investigating new neutrino sources, based on particle accelerators, to produce neutrino beams that are more intense and better defined in terms of energy and flavor. These sources are known by different names, according to the parent particles concerned. Thus superbeams involve pion decay, neutrino factories concern muon decay, and beta beams radioactive ion decay. 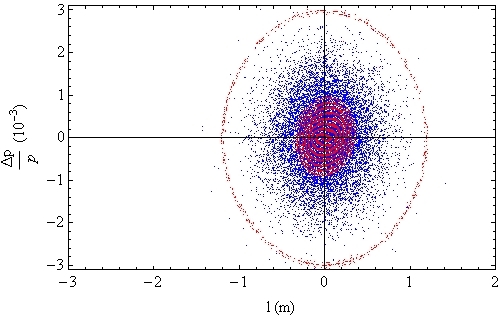 SACM is conducting research into beta-beam neutrino factories as part of the European FP6 and FP7 R&D programs. The IN2P3 and CERN are the main partners in this work. The aim of this activity is to use the beta radioactivity of He6 or Li8 nuclei as an antineutrino source, and that of Ne18 or B8 nuclei as the neutrino source. The great advantage of this type of source is that it only produces neutrinos of known flavor and within a known and relatively narrow energy spectrum. Once they are produced and accelerated, the radioactive beta nuclei are stored in a ring 7 km in circumference, which includes two long straight sections lined up with the underground detector. SACM is responsible for designing this storage ring. During each revolution, a well-defined proportion of the nuclei decays, emitting neutrinos in their direction of propagation. 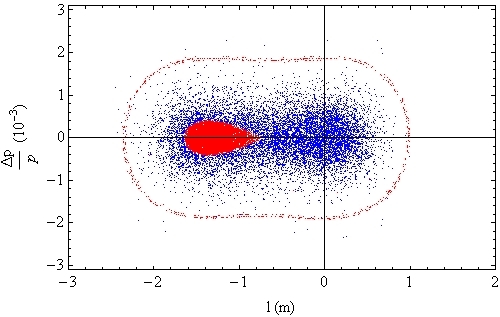 The decay occurring in one of the straight sections produces a short pulse of neutrinos aimed at the detector. The resulting nuclei, Li6, Be8, or F18, are lost in the ring and represent an activation source that must be controlled. 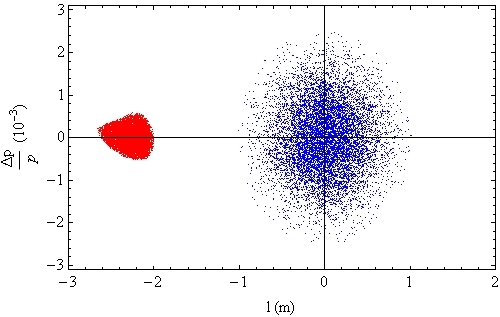 To obtain the neutrino flux necessary for the experiments, enough nuclei must accumulate in the decay ring and new nuclei must be injected periodically to make up for their disintegration. These processes induce beam losses, which must also be controlled. 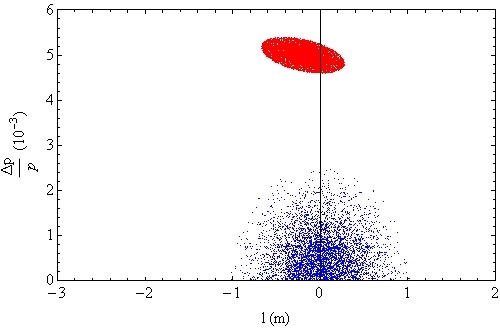 Spatial representation of energy phases-position of injected beam (red) and stored beam (blue), at various stages of mixing (from injection, shown in the top left-hand corner, to the end of mixing, shown in the bottom right-hand corner). A halo can be clearly seen. This must be cleaned before the next injection.